Welcome: We hope the Thanksgiving Holiday was filled with Family, Friends, Food & Fun. 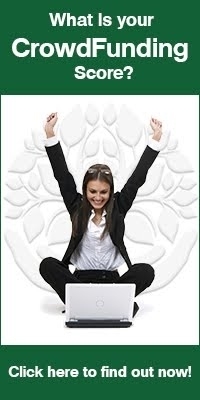 4) - Top Active CrowdFunding Campaigns. In discussion of the SEC rules and regulations for Equity & Debt based CrowdFunding, the potential for the FINRA ( Federal Investment Regulatory Agency) to severely slow down the implementation of the single piece of “bi-Partisitan legislation, this year on the JOBS ACT, or the CrowdFunding Bill. An exclusive avenue for the registered and certified Non-Profit 501(c)(3) organization to seek funding and those Donors, seeking to fund that special cause can meet and complete these valuable charitable transactions and support that charatible entity. What will the CF Interfediaries look like? How will the keep the bad actors out? What roles will State regulators play? When will the rules be set? Will fraud make CrwodFunding Radioactive? This article come to us from BloombergBusinessweek, and the comments to the article are almost more interesting. My believe is that the Current Capital Formation Markets, are not working for the Business Innovator, with that great idea nor for the donator/investor, that lerns of a great idea they see value in and want to see succed. Maybe a little competition for “investment “ dollars by all involved with produce a better end product?...isn’t that the goal? This is a major milestone in the CrowdFunding Environment. For the First time ever, a single, two-pronged drive for Star Citizen . a “Gaming Industry” market company, finally concluded on Monday with a final total of $6,238,563 USD, from a total Crowd, of Eager Supporters of 89,667 backers. Now that ‘s a Crowd! Back to David, with our Guest of the day! The 3nd section of our show is dedicated to CrowdFunding community and its experts . unique characteristics . 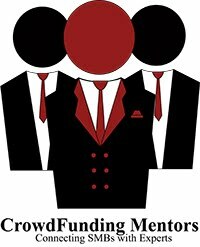 Every week, we receive suggestions from our viewers via our Blog or email at CrowdFundingplanning.com. Our Crowdfunding mentors review the suggestions and give us the top three Campaigns . Campaign’s short pitch is - Leave that inaccessible smartphone in your pocket. Control your music by using fingertip touches with BEARTek gloves. Campaign’s short pitch is - Richly-illustrated print gamebook. Go back to 1930s New York and control a group of private investigators facing occult mysteries. I personally love love the idea , the detectives and paranormal story and also the artwork . Both Michael Louys and Richard Hetley are into something entertaining and big . Something even beyond video game. Good Luck guys, as an improvement update your campaign video and show more graphics . Lets us experience the magic. Misfit Shine is an elegant, all-metal activity tracker that you can sync with your smartphone just by placing it on your phone screen. Find out how active you are every day, and set goals to become more active. Wear it how you want, wherever you want. There's no cables, no bluetooth pairing, no charging stations - just an easily replaceable battery that lasts about six months. The 5thh section of our show is dedicated to CrowdFunding Conferences and Educational Events across the Country hopefully near you, where you can attend and participate, meeting with CrowdFunding experts that are available to help you understand and even use some of the most successful CrowdFunding techniques. This Social Media and all the other components of the Electronic Brand awareness includes so many additional elements to Building your Crowd in the Cloud, so stay tuned as discuss each of the fundamental of doing business in the Networking Age! David , what is the “quote of the day “ today ? The quote is : Live passionately, even if it kills you, because something is going to kill you anyway.﻿ Why not your passion ? 1) Yet Another Multi-million Dollar Crowdfunding Record -- Game developer Chris Roberts’ fans shelled out $6.2 million to help finance the upcoming “Star Citizen” title, making it the most successfully crowdfunded video game yet. Roberts and his team ran a dual campaign, with $2.13 million coming from Kickstarter, and $4.09 from their own crowdfunding initiative - their OWN CROWD!